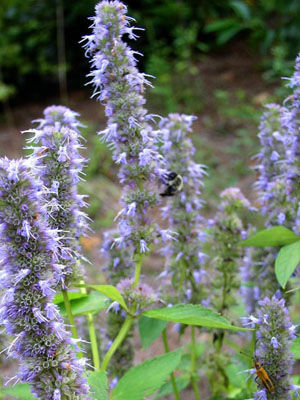 Agastache seedlings can be damaged by spring frost, but established plants may survive winter if the soil does not freeze. Agastache tolerates summer drought better than many other flowers. Popular cultivars like ‘Blue Fortune’ are hardy to -15C (5F ) when well established. Some varieties bloom rose-red or orange. As flower spikes fade, trim them off with secateurs.